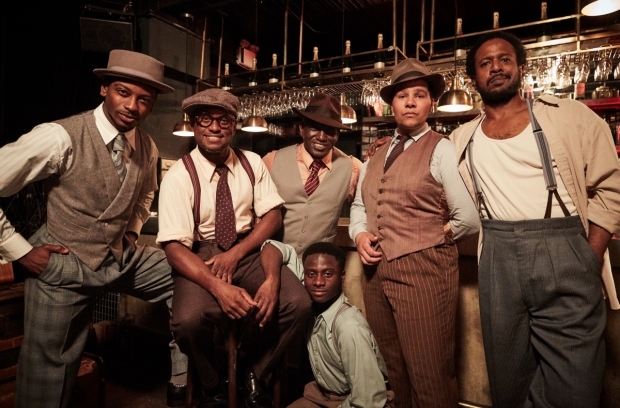 Full casting has been announced for the revival of Clarke Peters' musical Five Guys Named Moe in London in the new Marble Arch Theatre pop-up venue called the designed specifically for the production. The musical is directed by Peters with Musical Staging and Choreography by Andrew Wright. It will open on 14th September running until 25th November, with previews from 29th August. The musical revolves around Nomax, whose girlfriend leaves him and is left with no money, and is comforted by five jazz singers, each named Moe, performingh jazz hits including "Early In The Morning", "Is You Is or Is You Ain't My Baby", "Choo Choo Ch'Boogie" and "Saturday Night Fish Fry". Edward Baruwa will play Nomax, and the Moes will be played by Ian Carlyle (Four-Eyed Moe), Dex Lee (Know Moe), Iriss Kargbo (Little Moe), Timothy Martin (Big Moe) and Emile Ruddock (Eat Moe).